The Center for Applied Axiometrics is a network of resources whose mission is to enhance organizational performance. We are a team of diverse professionals from the field of Social Psychology, Research and Development, Engineering, Finance, Organizational Development, Marketing and Accounting. Our Associates boast a range of experience, from CFO and Corporate Communications VP to R&D VP and Media and Marketing specialists. What we share is a vision: that a problem is just a difference between where we are now and where we want to be-and that there is an excellent solution to every problem! We bring our talent and our experience to bear on solving these problems in a systematic, seasoned way. Someone accused K.T. once of knowing every executive and professional in the city in which she lived. Which is why she is able to bring together such an able team of talented designers and doers. K. T. Connor is one of the few people in the country who has used the Hartman Profile for nearly two decades. An Organizational Development (OD) specialist with a degree from USC in Los Angeles, her work focus is on developing problem-solving potential at the personal, inter-personal, process, and systemic level. Dr. Connor has worked with executive teams and employees at all levels for over twenty years, specializing in coaching, problem-solving, team processes and style/skill assessment. She is associated with the Hartman Institute, the OD Network, and The Product Development & Management Association. Dr. Connor is past President and Board Chair of the Creative Education Foundation (CEF), the organization founded by Alex Osborn, formulator of “brainstorming” and co-founder of global ad agency BBDO. The mission of CEF is to foster innovation and to make the deliberate development of creativity accessible to all. 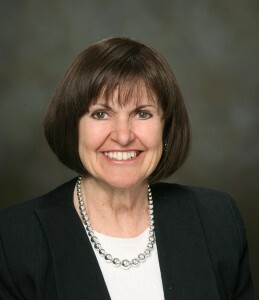 Dr. Connor’s work has been recognized with numerous awards, including the National Award from the American Society for Training and Development, the Distinguished Leader Award given by Creative Problem Solving Institute, and the Project Equality Award for support given women in management, and for founding and directing Center for Women in Management for over a decade. As a speaker, Dr. Connor has addressed groups around the world, including the National Association of Purchasing Management International Conference, American Society for Training and Development International Conference, South African International Creativity Conference, International Creative Problem Solving Institute, and Innovation Network. Her topics include White Collar Productivity; Styles of Thinking and Styles of Service; Rethinking Work Satisfaction, Recognition, and Morale; Decision Velocity; Innovation Velocity; The Perils of Psychological Testing; The Complete Team; and Assertive Conflict Management. In addition to her degree from USC, she has degrees from Case Western Reserve University and D’Youville College, acclaimed for its innovative community-centered real-world programs.